I have received few emails throughout the year on how to plan a day trip to Hallstatt so I am putting this quick guide to help, it’s very easy! It will be a long ride, 20 stops to reach Hallstatt but you’ll pass by many picturesque towns, lakes, and mountains! Hallstatt train station is just one platform with the sign “Hallstatt”. Once you get off, walk down to the path to the pier, there’s a small booth there to purchase the ferry ticket. If no one is there, don’t worry, you’ll be able to pay when boarding the ferry, ticket is around €2.40 . 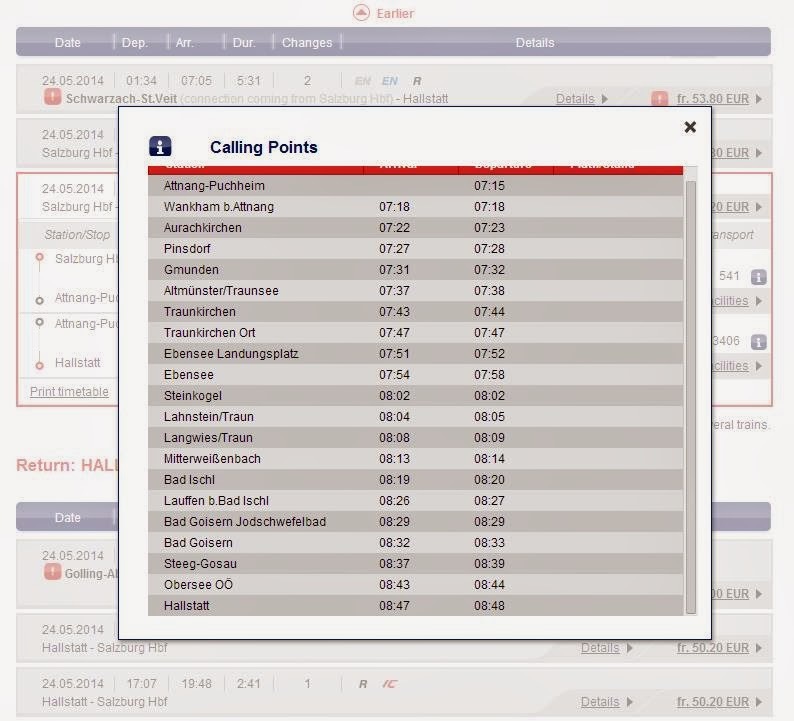 The ferry time table accommodate the train schedule pretty well so you won’t be waiting for long. The journey across the lake to Hallstatt town will be amazing so have your camera ready! The ferry will drop you off at the ferry station: Hallstatt Markt. 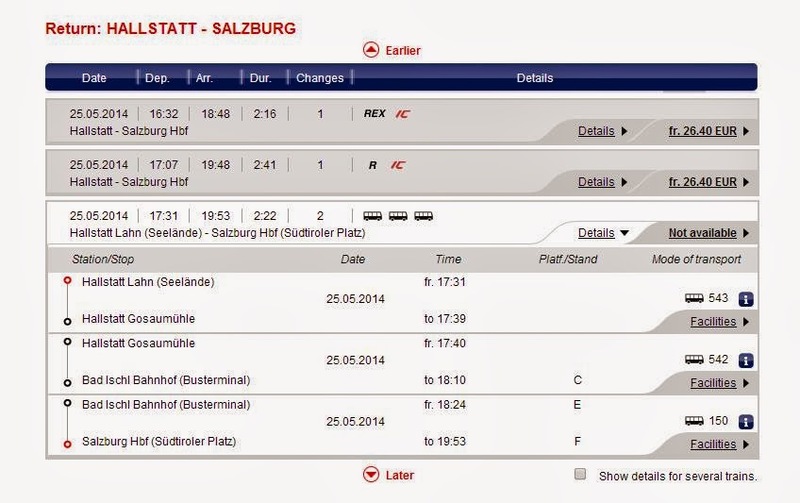 For the return trip, either take the 16:32 or 17:07 train to get back to Salzburg for dinner. Make sure you check the ferry schedule so you will not miss the train! The ferry departs at Hallstatt Markt the same when you arrived. The 16:32 train from Hallstatt to Attnang-Puchheim heads to the direction “Wien Westbahnhof”, whereas the 17:07 train heads to the direct Linz/Donau Hbf, either one you’ll get off at Attnang-Puchheim to change train back to Salzburg, direction is Salzburg. Please note that the currency is in Euros, which usually credit card charges a foreign exchange fee of 3%, there are no foreign exchange fee credit cards available in the market 🙂 If payment is rejected, you can try to call your credit card company and let them know that you are making this purchase and try again. You can also purchase the pass from the automated ticket machine, remember to have cash with you because automated ticket machine required credit cards with smart chip and a pin number to pay! 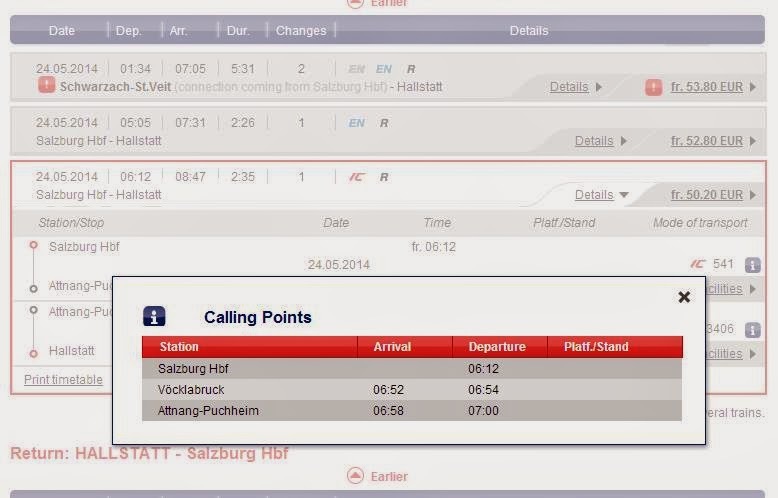 Click search connection, as you can see, only the R and REX trains are displayed and takes a little bit longer to get to Hallstatt. From Salzburg, take Bus 150 to Bad Ischl bus terminal, departing Salzburg at 6:45 am from platform F and arriving Bad Ischl bus terminal at 8:10 am at platform E. Then you’ll need to walk over to the Bad Ischl train station to take the train R 3406 departing at 8:20 am at platform 1 to Hallstatt. This is the same train as above and will get to Hallstatt the same time – 8:47 am! 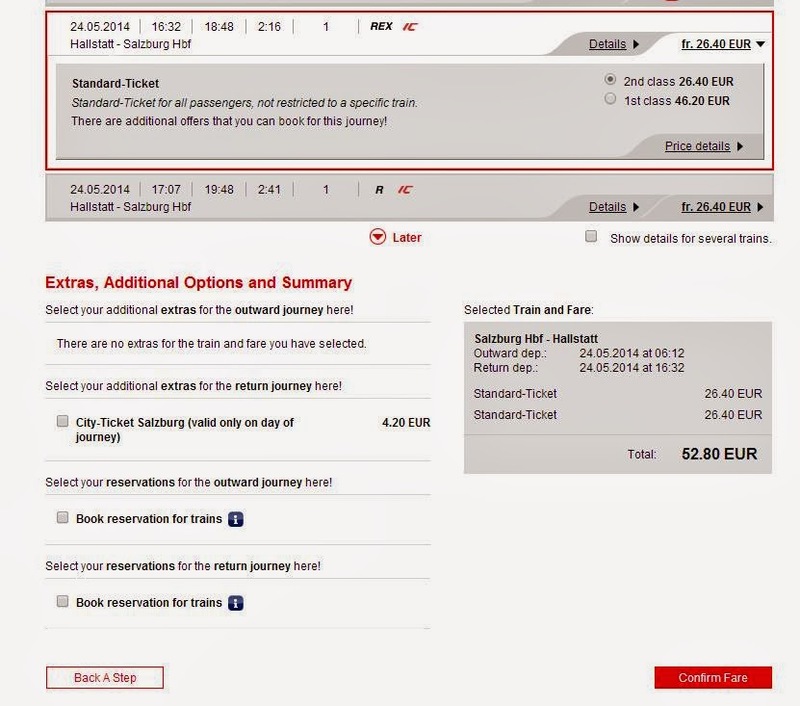 The price shown above is for the train only, you’ll need to purchase the bus ticket separately. The bus ticket is around €10.10. Take the bus 543 from Hallstatt Lanh (this is different than the Hallstatt train station located across the lake), this is the bus station in the end of Hallstatt town. Departing 17:31 and arriving 17:39 at Hallstatt Gosaumuhle. Then change to bus 542 leaving at 17:40 (not sure if 1 minute is enough time since I didn’t take this bus), which heads to Bad Ischl bus terminal arriving 18:10. 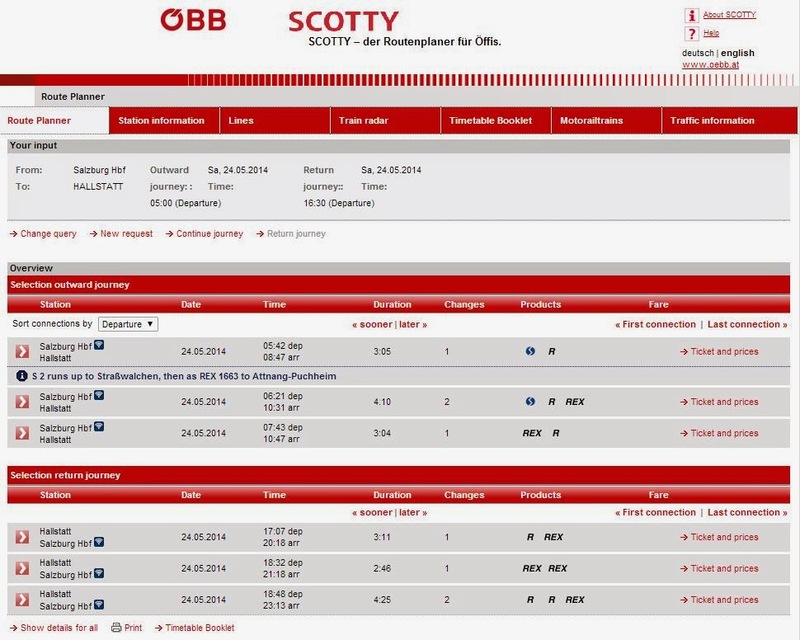 Lastly, switch to bus 150 again leaving at 18:24 and will be back to Salzburg at 19:53. I hope this quick guide is easy enough to follow and plan your own day trip to Hallstatt! Have a great time and I am sure you’ll! If you still have any questions, feel free to leave a comment here or email me! Your website provides the most comprehensive guide to travel to Hallstatt, can i ask you a few questions? I intend to travel to Hallstatt from Salzburg on 6 June. 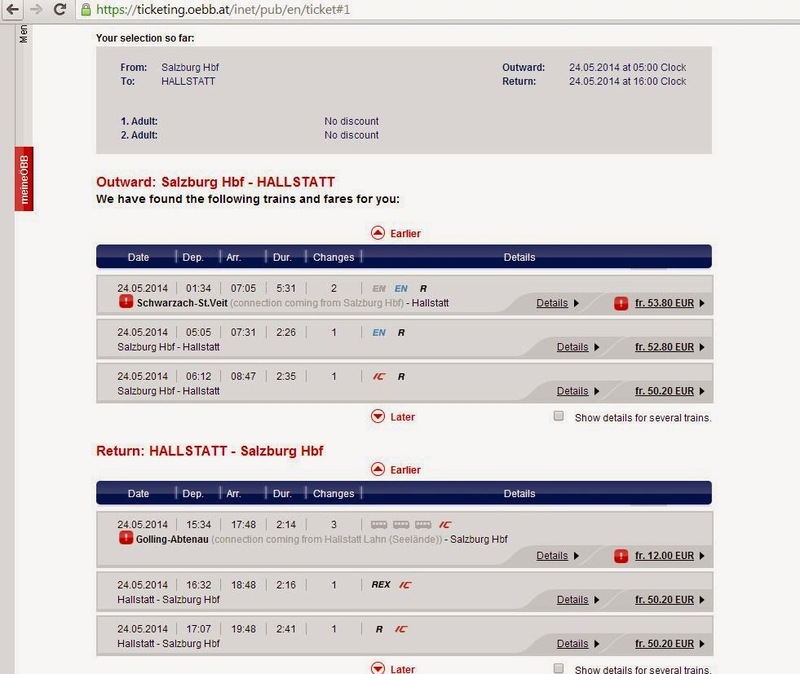 1) Is it advisable to take the bus-train option to Hallstatt, and then take the train-train option back to Salzburg? 2) Should i buy the tickets early online? or is it fine to purchase them on the day itself? 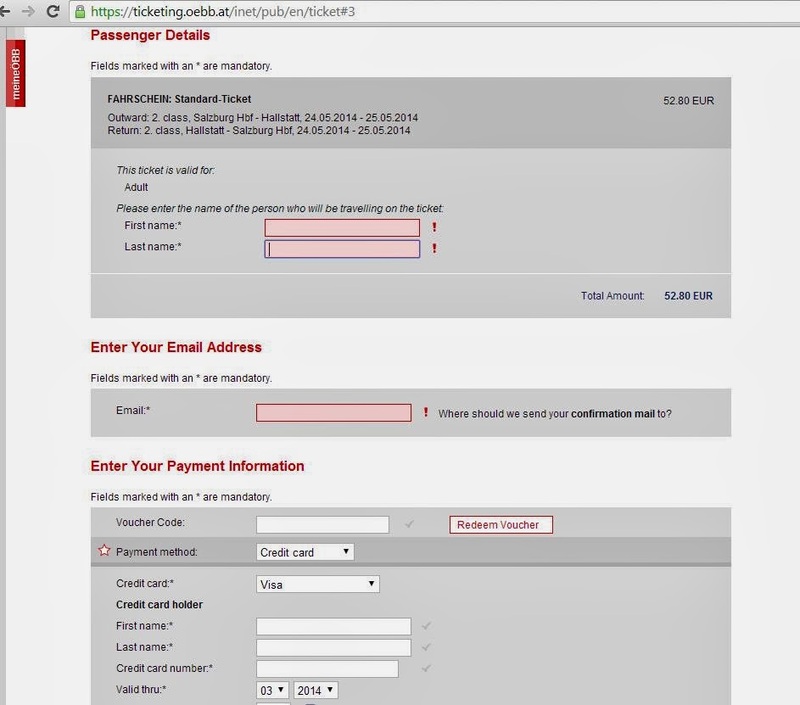 It seems like i can’t purchase the bus tickets online? Hello, if the bus-train option gets you there earlier for more time to spend in Hallstatt then go for it!!! 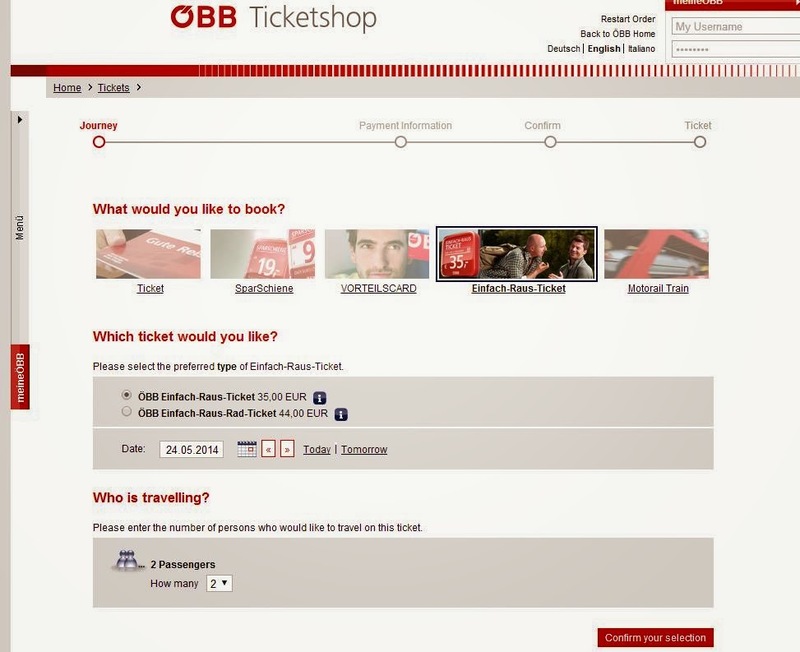 You can’t purchase the bus ticket online, but it is fine to purchase them on the day, just make sure you arrive to the station early to have enough time to buy the ticket; sometimes there’s a queue for the ticket machines. It’s very easy to navigate the machine to purchase ticket, if you are going to pay with credit card, make sure it has the chip embedded type; ticket machine only takes those. Easiest would be pay in cash 🙂 Have a great trip! 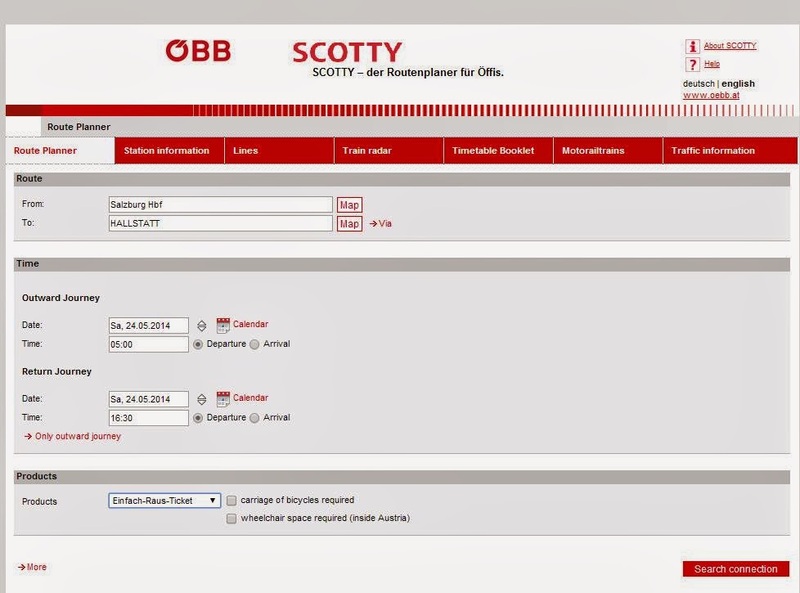 I already bought train ticket to Hallstatt for my November trip to Austria via OEBB online. Can’t wait to go there! Is there any souvenir shop and public toilet at the village? Kikie, there are plenty of souvenir shops in the village! I am not sure about public toilet but you can always use the toilet in the restaurant during lunch or get a drink at the cafe! Hi.. Your guide was very helpful for me to plan my travel to Hallstatt and salzburg. Read your blog I decided to do Salzburg sightseeing the day I arrive n kept aside 1 entire day for hallstatt. 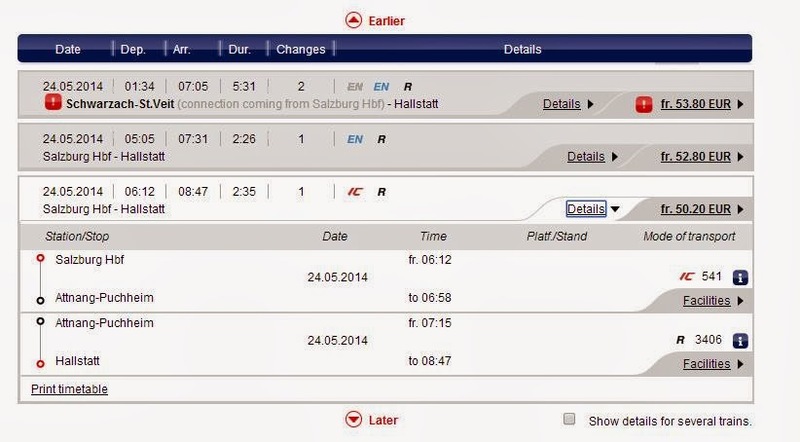 I m going to Salzburg in last week of June.its a Sunday when I am going to Hallstatt and we are 3 people., so we are planning to use the Einfach Rays ticket. I found out that this ticket allows any number of journeys on regional trains. 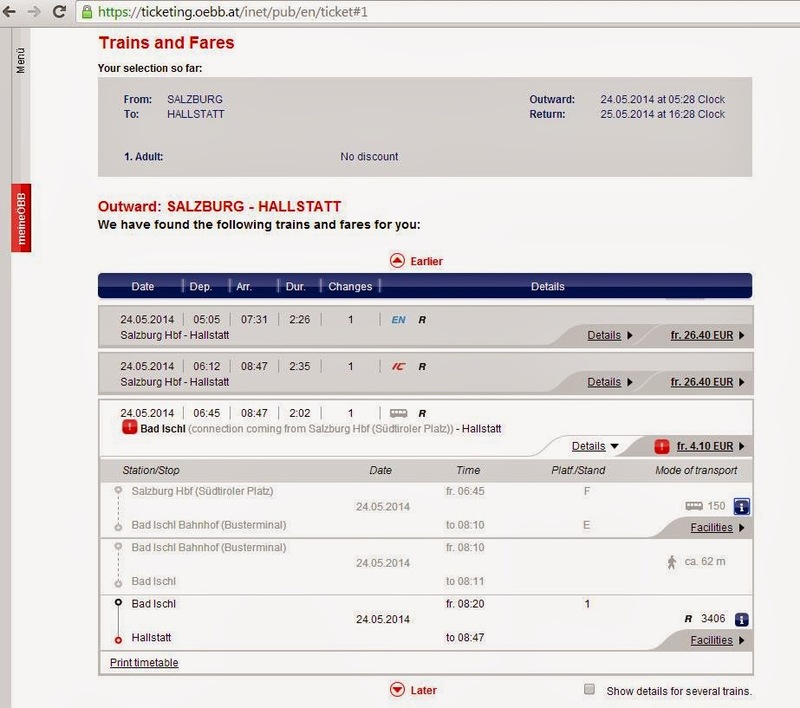 I wanted to know whether the same ticket can be used for return journey from Hallstatt to Salzburg on the same day? 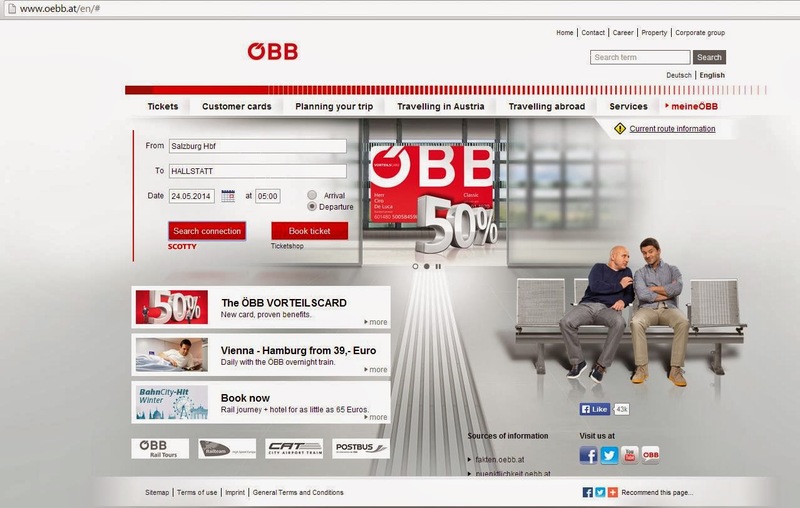 Yes, the Einfach-Raus-Ticket will enable your group of 3 (2-5 people) traveling together on all regional trains for the full day on weekends so will cover your return journey!